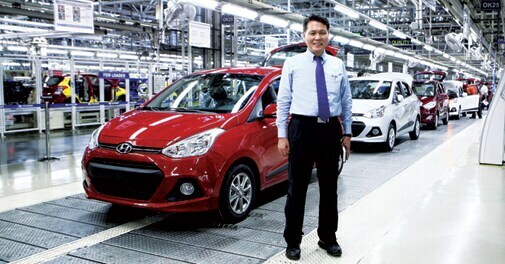 Of all the MNCs that entered the Indian car market in the last 20 years, only Hyundai has cracked it. But it is still a long way away from catching up with Maruti. "Were there more things he (Finance Minister Arun Jaitley) could have done, bolder steps he could have taken? Probably," writes Business Today Editor Prosenjit Datta. A lyrical, inspiring book that aims to re-ignite the spark of passion in the work we do. 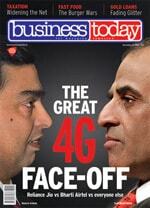 Business Today brings you snapshots from newsmakers this past fortnight. Grant Thornton Global CEO Ed Nusbaum spoke with Business Today on his recent visit to India about the company's growing business in and learnings from India. In the virtual world, six degrees of separation - the theory that you are only six steps away from knowing any other person in the world - has probably narrowed down to three. Former Finance Minister P. Chidambaram ripped apart the Union Budget while speaking on Headlines Today with Rajdeep Sardesai and on Aaj Tak. Will PVR Cinemas retain its No. 1 position? "Without any clarity on the compliance rules and procedures, it will be challenging for them (government) to design the compliance framework for GST," writes Satya Poddar. 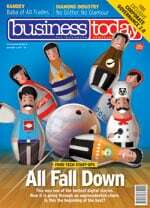 Business Today readers give feedback on the magazine's coverage in the March 15, 2015 issue. Top HR executives in Bangalore discuss social media at workplace and whether working from home is a good option. Chaayos is Nitin Saluja and Raghav Verma, the two IITians' attempt to bring home-style servings of the vintage brew in a modern and funky cafe format. Lenovo's new flagship ultrabook comes with a breakthough design and impossibly-thin dimensions. The convertible-hybrid laptop is also a user's delight. The projects are falling out of favour because of the withdrawal of tax benefits to them. What made news this past fortnight - Dilip Shanghvi became India's richest, China's economic growth and more.